Parking signs are typically cluttered, confusing messes. Sure, you can park here. Except on Tuesdays from 5 a.m. to 4 p.m. Except every other weekend. Except when it snows. Except if there is a migrating flock of birds within four miles. Except when Mercury is in retrograde. In Sydney, parking signage is getting a whole lot easier to read and understand, even from a moving vehicle. The Australian Road and Maritime Services has installed e-ink parking signs that feature dynamic screens that look a lot like what you’d see on an e-book. 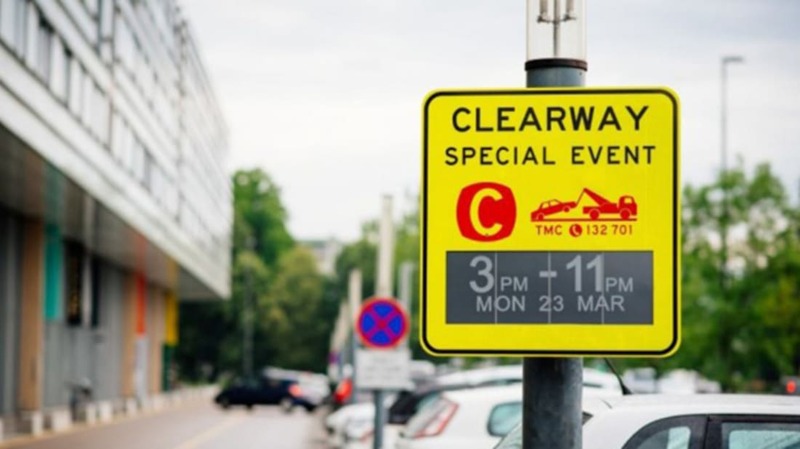 The solar-powered signs can be easily updated to inform people of changing parking restrictions, like a special event, without the city needing to put up temporary signage. The simplified e-ink displays are equipped with 3G, so they can be updated over the Internet. They can publicize different parking restrictions based on the time of day or week, eliminating the need for a string of caveats at the bottom of your parking sign (“except Sundays,” etc.). Everybody wins with better parking signage. The city gets the space it needs to sweep streets or hold farmer’s markets, and drivers save money on parking tickets. Take note, rest of the world.